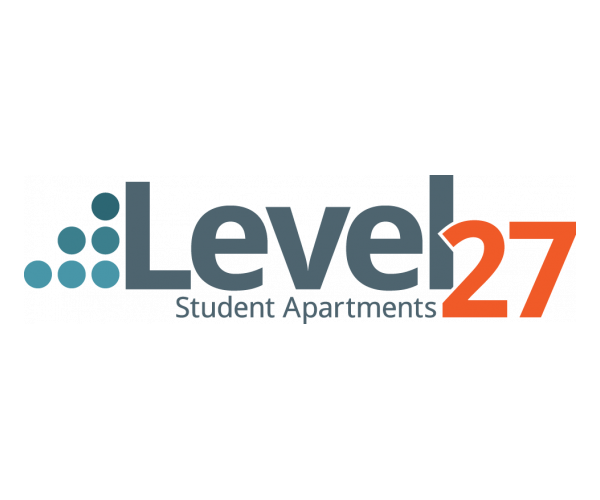 Level 27 Apartments near Miami University offer the privacy and lifestyle you deserve in an off- campus student community. Welcome to Level 27! Our all-inclusive apartments in Oxford, Ohio provide the perfect home away from home with fully-furnished units, private bedrooms and bathrooms, and in-unit washers/dryers. Our community amenities are focused on bringing our residents together, including a resort-style pool, 24-hour fitness center, movie theater, and weekly resident events. In addition, our 3 or 4 bedroom apartments are some of the most spacious in the Oxford area. Level 27 offers smoke free apartments. If a resident smokes in their unit, they will be charged the cost of any necessary cleaning and repairs.